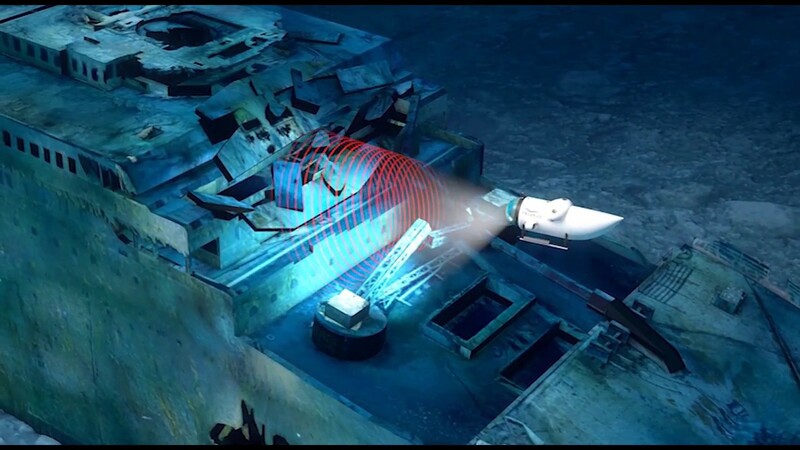 Watch the following animated video of Cyclops 2 scanning the wreck of the Titanic. The Bluefish excursion has a 13 day itinerary. What’s included is a journey to the Titanic aboard the MIR I or II submersibles. These vehicles are designed to reach depths of 20k feet. We expect your dive duration to be approximately 11 to 12 hours. Illuminated by the powerful lights of the submersible your viewing port will be filled with images of the RMS Titanic.The bright lights will pick up her huge anchors, larger than the submersible, and the capstans, the bridge and the famous grand staircase, all nestled amongst rivers of rust as the ocean slowly consumes the grand old lady.You’ll see the ship’s telemotor, the massive boilers, the propellers and the Marconi Room, from which the world’s very first SOS was broadcast. Amongst thousands of tonnes of twisted and corroding metal you may catch a glimpse of articles of a personal nature such as ships bags or small ladies shoes, graphic and solemn reminders of the human loss. Further details about their excursion visit their website.